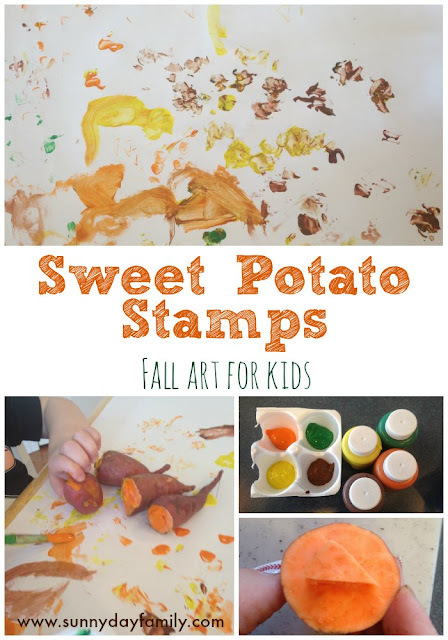 Sweet Potato Stamps: Fun Fall Art! We've had an abundance of sweet potatoes in our garden this year, and we've been enjoying them in all kinds of foods. But due to some overzealous picking by my toddlers, we had a couple really small ones. Looking at them I remembered making potato stamps as a kid myself, and thought they would be the perfect size for my little ones to create some art. 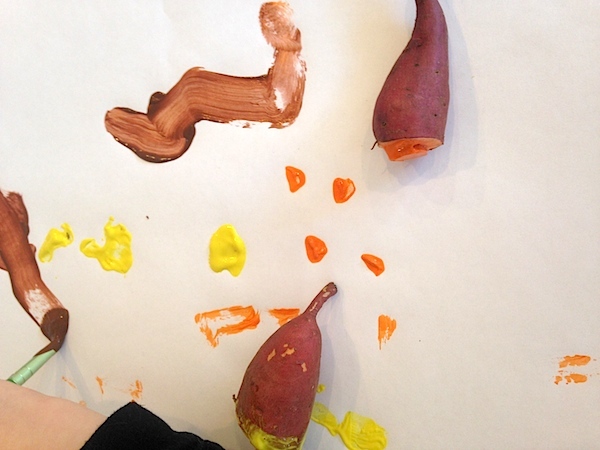 Voila - sweet potato stamps! 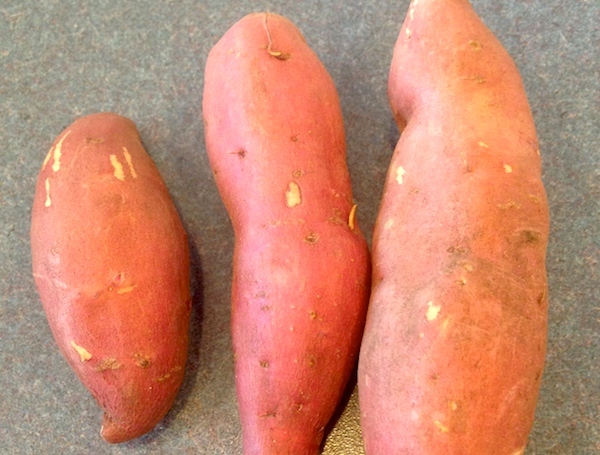 I started with these 3 little sweet potatoes. 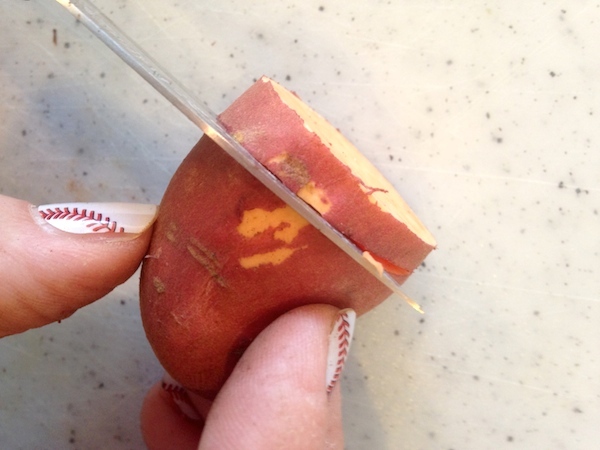 You could also do these with baby yukon or redskin potatoes. I washed off the dirt and cut them in half to make 6 stamps. I decided to do easy shapes - circle, triangle, and sort of a ghost shape (thinking Halloween) that ended up more abstract. It still worked. 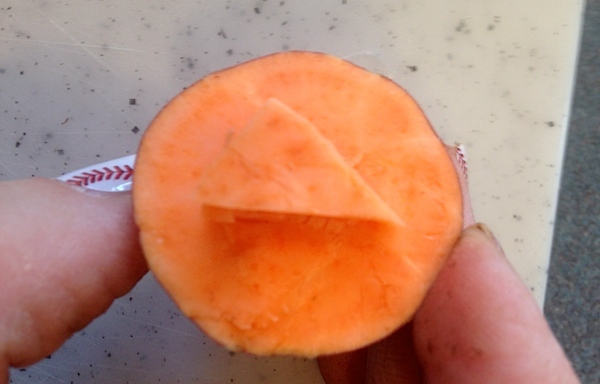 I used a sharp paring knife to first score my shape into the cut end of the sweet potato. Then I carefully cut a circle around the edge. 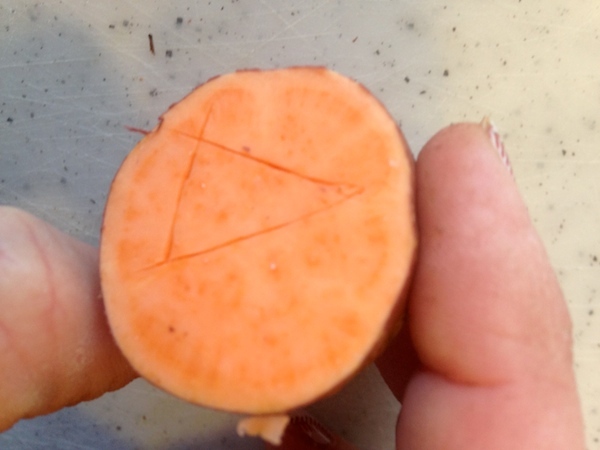 I was then able to very carefully pull off the edges around the shape so that it stuck out in the middle. When painting with my toddlers, I like to use a big roll of paper and tape it to my kitchen table with painter's tape. This allows them to paint away without my worrying about the paper moving around or them going off the edge of the paper (too much). We only use washable paint though to be safe. 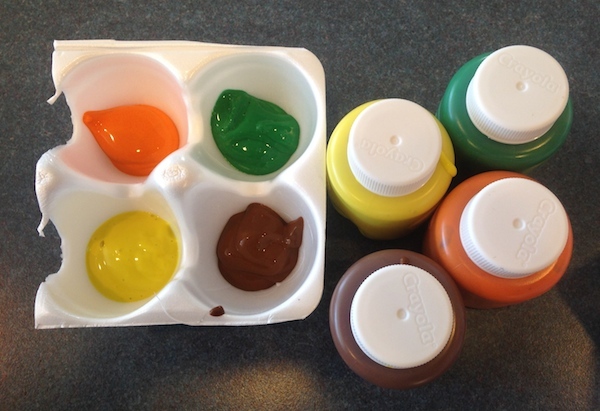 We picked out some nice fall colors for this and I put the paint in a clean egg carton for easy dipping and stamping. They were a hit! 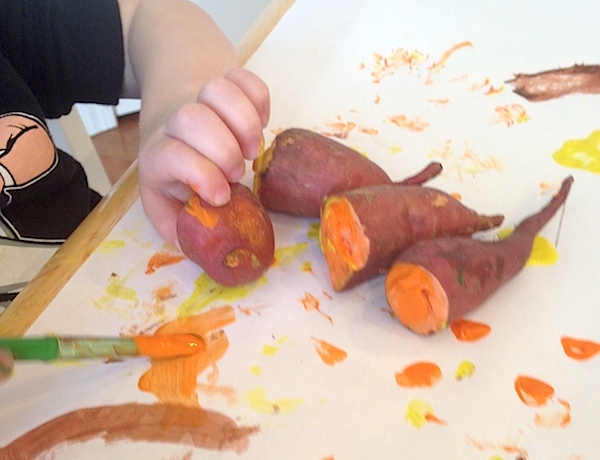 The small sweet potatoes were the perfect size for 2 year old hands, and nice and sturdy for them to stamp on the paper. They had a blast dipping in the paint and stamping out the shapes. My animal lover called them "paw prints" but I think they ended up looking like leaves. 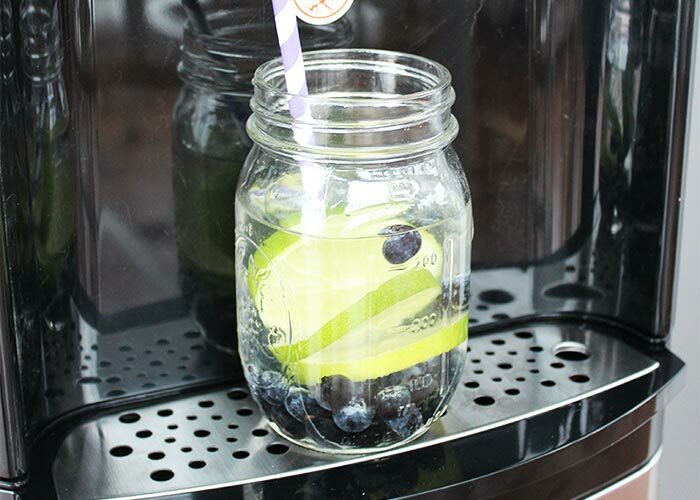 This was a really fun way to spend our Sunday morning and so cheap and easy! Enjoy!